Staying put is easy and safe, going into uncharted territory is risky. 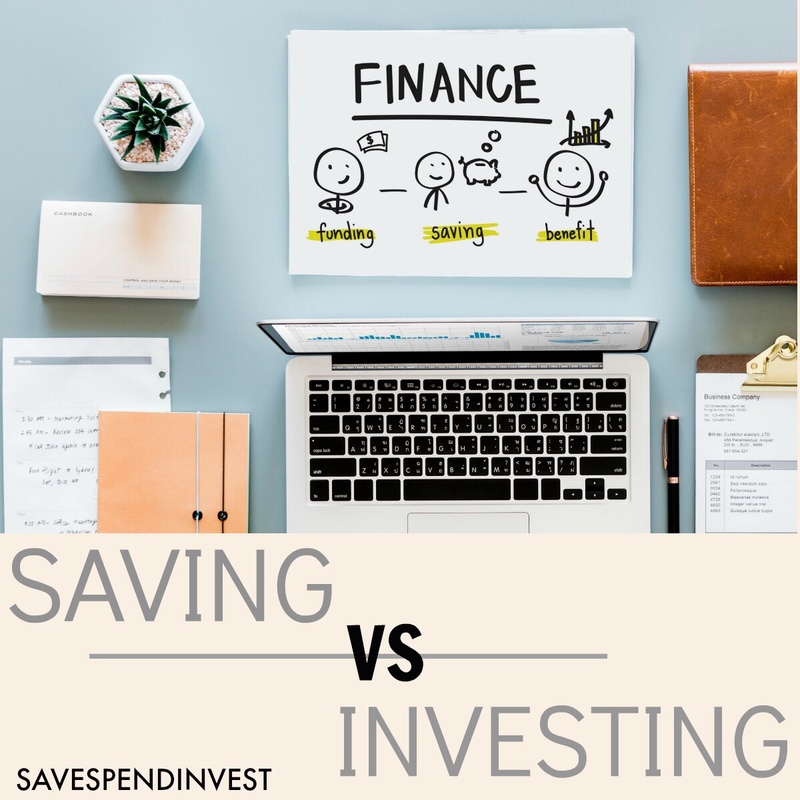 At some point or the other, either we were told to, or we sort of figured it out on our own, or maybe even your friends told you – someway, somehow, you started saving. It wasn’t too hard – you just take some money and put it somewhere that your everyday cash is not. It was really that simple. Do this for a few weeks, months and years and you may think that’s all there is to succeed in your financial life. What you would soon come to know, is that, on it’s own saving is never enough. Or as I say, you cannot save your way to financial freedom. Even if you saved 100% your income, you couldn’t be financially free. For one, other major areas of your life would suffer and it would be highly unsustainable to maintain. Your financial life is important yes, so is your social, mental and physical life. Saving ALL your income would jeopardise all the other areas in your life which financial freedom isn’t really about. T. Harv Eker says it best “Because, financial freedom is the ability to live the life you desire without having to work or rely or anyone else for money.” Correct me if I’m wrong, but the life you desire is not to work hard to earn a good pay and automatically send it all to your savings account. No, life is worth more than that and we all want to thrive, not merely exist. 1. Your savings habit is a great foundation for financial freedom, but it’s exactly that – a foundation. A house is not a house only because of its foundation. However imperative it is to have a good and stable foundation, a house cannot realise its full potential without its other layers on top of the foundation. 2. If managing and having a good saving habit is the foundation, investing are the pillars that hold the house in place. You can only go to bed in your home because the pillars secure it from falling. Even if things inside the home come crashing (i.e. your job), your pillars keep the house from falling and if the foundation is solid, then really, there’s no real damage done. 3. Investing is the only sustainable way to hit your financial goals. I say sustainable, because you can hit your financial goals by simply increasing your working hours or having multiple jobs. But if you want to have time to do things that you’re passionate about, then you want to reduce, rather than increase your working hours. If any hours are being increased, it should be the hours spent into learning about the ways and types of investments. The road to investing starts at saving, but many have stopped, parked and began to live there. It’s gotten comfortable so why do anything else? As we said in our opening statement, “staying put is easy and safe, going into uncharted territory is risky.” No one likes the thought or reality of losing money, which you may do in investing. People say, what if I fail? But what if you fly? You’ll never know if you don’t try. And if you approach ‘failure’ as a lesson and an opportunity to learn, you will never fail. Every unsuccessful attempt, is one closer to the successful one. 5. It’s not enough to say you didn’t study finance or Economics at university. Likewise, it’s no excuse if you don’t work in a bank or in financial services. Anyone and everyone has the capacity to learn and actively practice investing. Read books, if you don’t like reading, watch Youtube videos, if that doesn’t work for you, how about podcasts? The options are too numerous for you to do nothing and stay put. Here’s what I’m proposing. Do something. At least if it doesn’t work out, you’ll know not to do it again, or in the same way. Read books about learning how to save and invest like The Smart Money Woman by Arese Ugwu, Think and Grow Rich by Napoleon Hill and The Intelligent Investor by Benjamin Graham. Start with index funds, mutual funds, ETFs or fixed income deposits. If you’re more comfortable with that, maybe move on to stocks and shares, or trading. If you have a bit more capital, invest in real estate and asset classes with a high return on investment. Don’t sit around and expect wealth to come to you because you’re a great saver. You couldn’t save enough for your entire future. Put your money to work for you by investing and sleep well, knowing your financial future is secured not on your savings today only, but on your investments. For more info on investing, check out this blog post on the ways to start investing.